When Maeko finds a clockwork cat while running from Literati Officers she finds herself caught in the middle of political machinations between the ruling elite and the pirates who oppose them. When the wife and child of a famous inventor are murdered, the blame immediately falls on the pirates but with detectives, assassins, businessmen, literati and pirates all pushing their own agenda it’s hard knowing who is on her side and who will be the death of her. She enlists the help of her partner in crime, Chaff, and the son of a pirate, Ash as she tries to find the murderer and save the day. The Girl and the Clockwork Cat really is proper steam-punk. 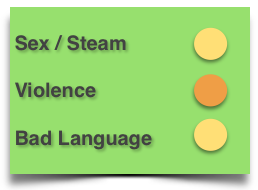 It’s complex and gritty and highly entertaining. I can’t really fault this book in any way. 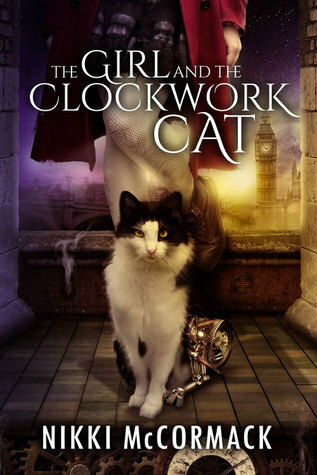 This entry was posted in Uncategorized and tagged cat, clockwork, nikki mccormack, steam punk by setaian. Bookmark the permalink.